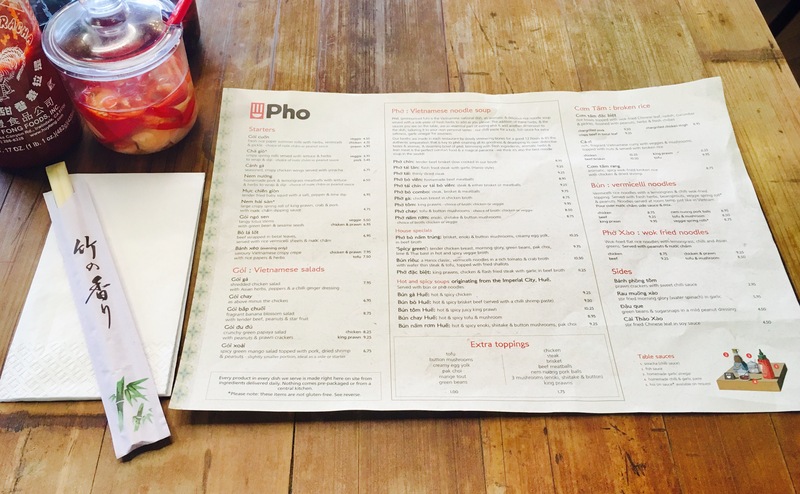 Have you tried Pho Grand Central yet? Whilst it’s lovely to eat a big juicy burger or a cheese laden pizza (obviously) sometimes I want a nice healthy lunch. 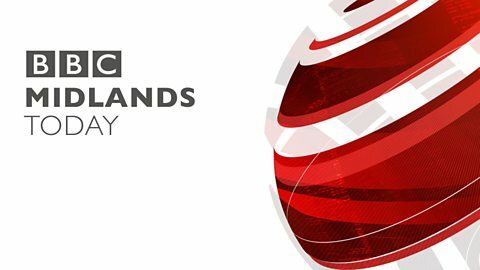 This in principle sounds extremely simple, however finding places in Birmingham city centre that offer interesting, tasty and satisfying healthy lunches can actually be a little bit more trickier than you first imagine. When you take away bread, potatoes and pasta you quickly find your choices shrink. 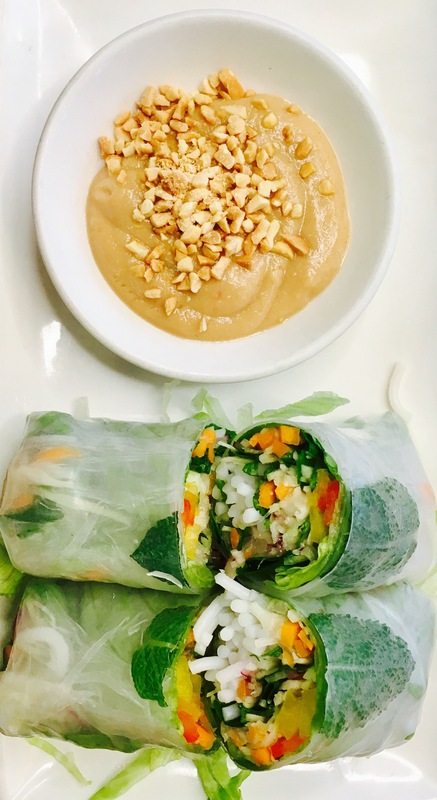 I’ve previously managed to find healthier choices in places such as Cherry Reds, Natural Healthy Foods, and Coffee Tales, but recently I found some great lunchtime treats at Pho Grand Central that are both delicious and virtuous. 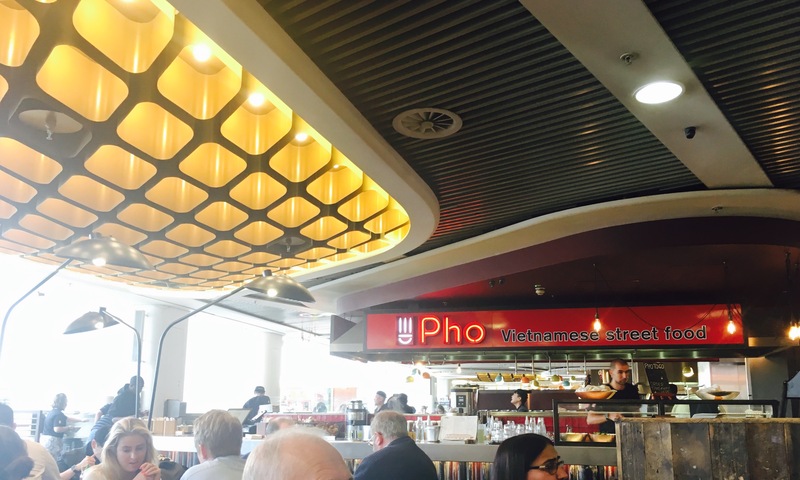 Pho has long been one of my go to places in the city centre when I’m looking for something that satisfies my appetite that doesn’t make me feel guilty immediately after eating. It’s generally always quite busy at lunchtimes, but I’ve never had to wait more than 10 minutes for a table. The staff are always really helpful and attentive, and I like that there is a heavy focus on clean flavours and lots of fresh herbs. 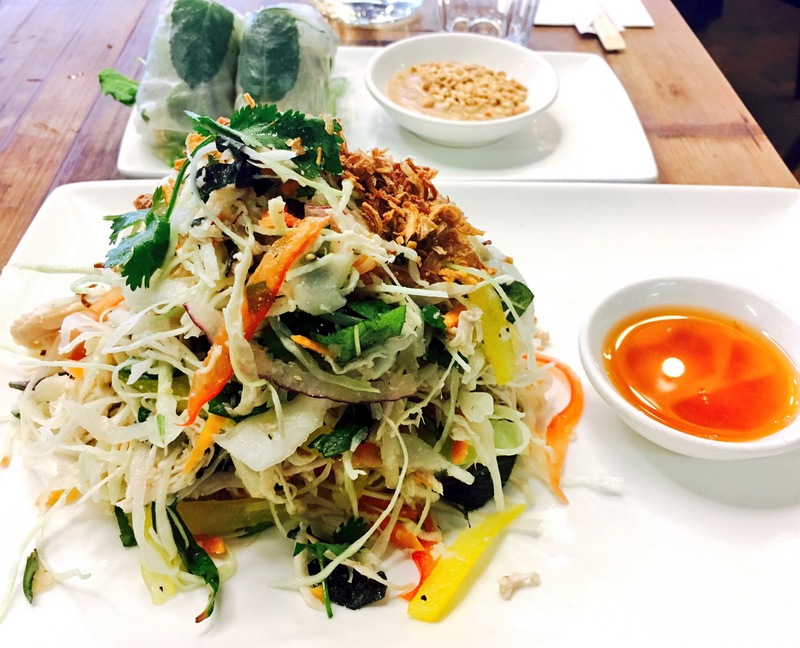 On this visit I decided to order one of the Vietnamese salads, this time choosing the Gỏi Gà (£7.95). This chicken salad combines cabbage, Asian herbs, mixed peppers and a chilli ginger dressing with shredded chicken, and is actually a really satisfying dish thanks to the generous portion size. 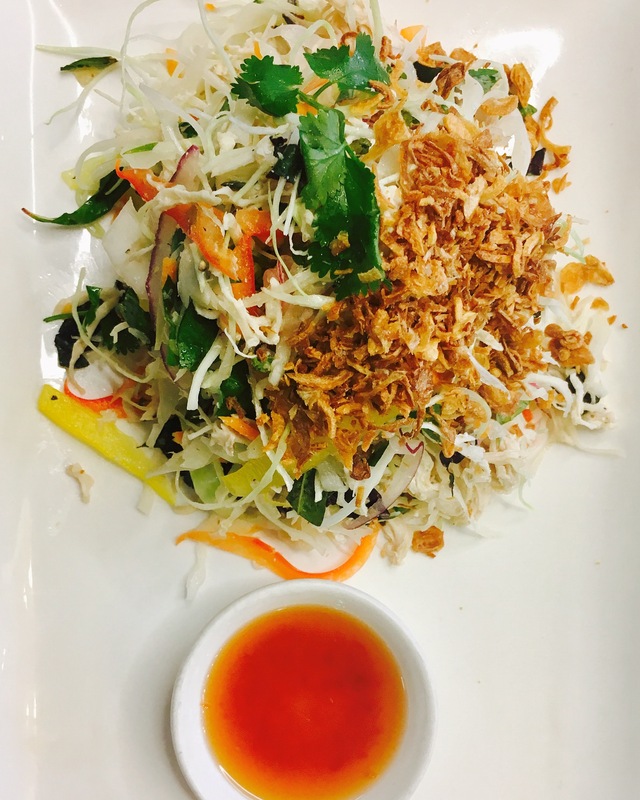 The meat is tender and the vegetables crunchy, whilst the zingy dressing (which comes on the side allowing you to decide how much you use) is fresh and fragrant. The sprinkle of fried shallots gives the salad some extra bite, and I added some of the Sriracha chilli sauce (a variety of additional bottles are found on all tables) to give the dish some extra heat. Trust me on this; it might look a bit out of place on a salad but it tasted glorious. 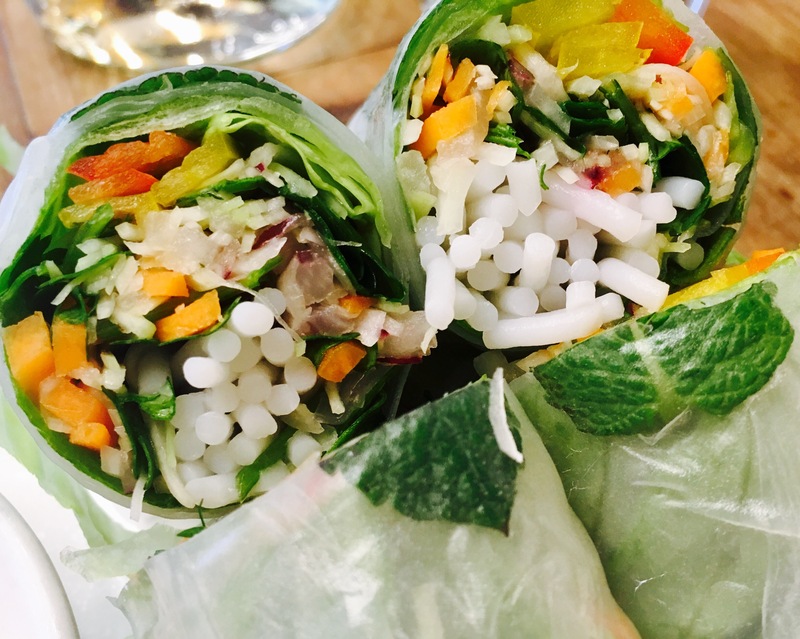 As well as the salad I ordered some of the Veggie Gỏi Cuốn (£4.50) which are rice paper summer rolls stuffed with herbs including mint, vermicelli and pickle. Instead of the fried spring rolls, these are squishy fresh bitesize rolls packed full of vegetables. There’s a choice of sauces – I went for the peanut dipping sauce – and you can also choose chicken or prawn versions of this side dish too. It’s got a great chew factor which I loved. 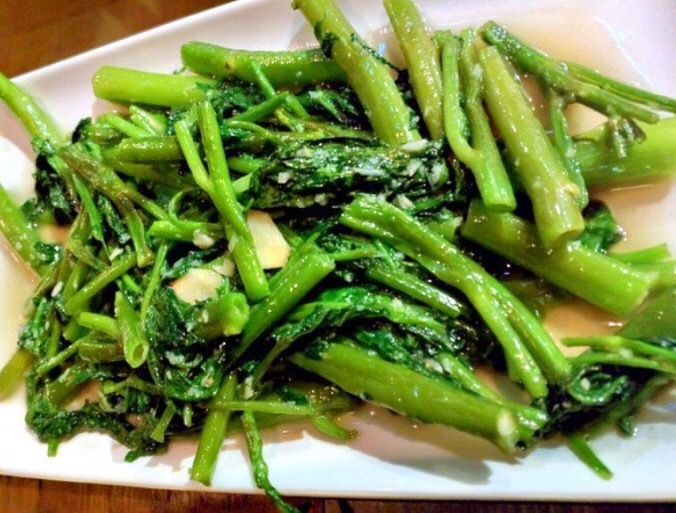 Another good shout (if you like your vegetables) is the Rau muống xào (£5.95) side dish; stir fried morning glory in garlic and soy sauce. If you’ve not tried this water spinach dish give it a go – it’s Pho’s secret weapon, in my opinion. I love that it’s so easy to make better choices at this restaurant, and the staff are happy to add or remove certain ingredients if you have preferences. 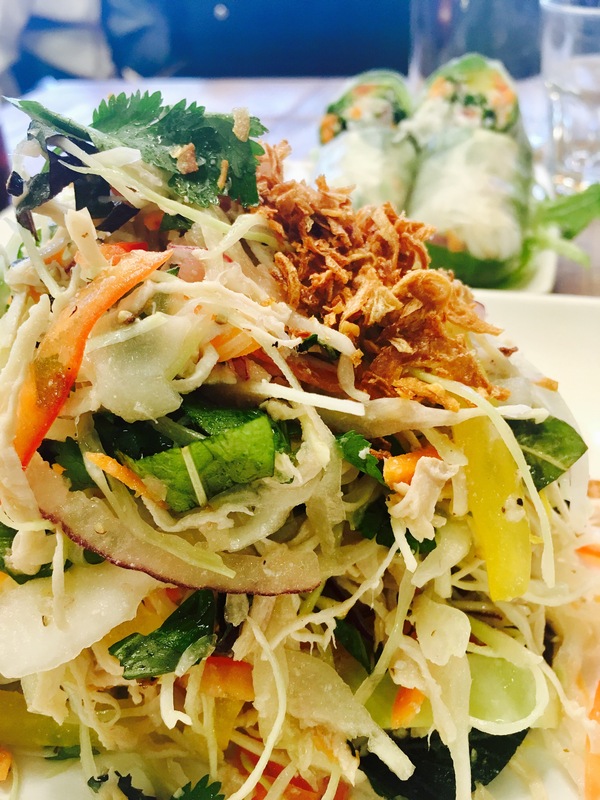 The restaurant itself is ideal for a speedy lunch thanks to the fast turnaround in service, and the food always tastes fresh. 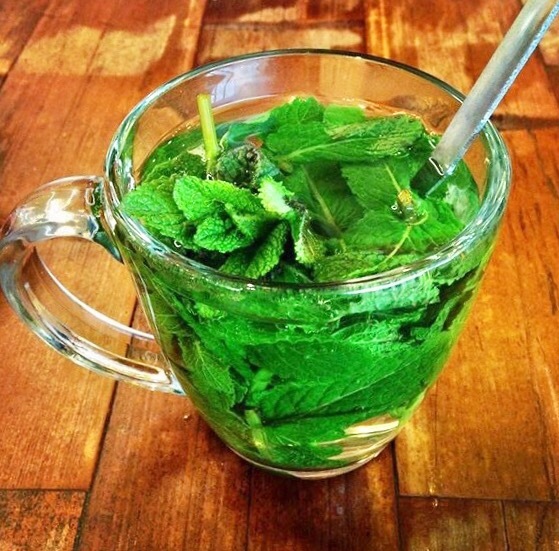 Don’t forget Pho also does a lovely range of juices and herbal teas, including fresh mint. Do you have any recommendations for a quick but healthy lunch in hurry? Let me know in the comments!